Triple therapy defined by use of aspirin, a P2Y12 inhibitor and oral anticoagulation can be indicated in certain clinical situations but usually for a limited period of time to prevent serious thrombotic events as stroke, recurrent MI, stent-thrombosis, and death. The typical clinical situation: a patient with a clear indication of oral anticoagulation experiencing an acute MI or is treated with PCI. Combinational use of oral anticoagulation and antiplatelet therapy increases the risk of bleeding, both when considering triple therapy with vitamin k antagonists, aspirin and clopidogrel and triple therapy with a novel anticoagulant (rivaroxaban, apixaban, and dabigatran). Occurrence of a bleeding is followed by an increased risk of thromboses and death. 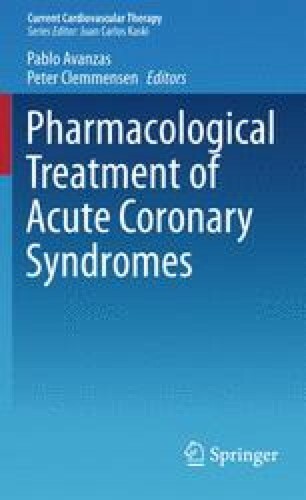 Recommended duration of triple therapy is dependent on presence/absence of acute coronary syndrome, risk of bleeding and type of stent used in patients treated with PCI. These parameters should be evaluated before initiation and duration of triple therapy is determined. For triple therapy combinations of vitamin K antagonist or dabigatran 110 mg, aspirin and clopidogrel can be used. Triple therapy including rivaroxaban (in doses used for oral anticoagulation), apixaban, ticagrelor, or prasugrel can currently not be recommended.